SE JT928 Glass Top Display Box with Metal Clips, 12" x 8.25" x 0.75"
And features an attached chain so you can choose between wearing it around your neck or clipping it to your belt. Use this Police Badge with Chain and Clip to complete a variety of outfits. This plastic "special police" badge is sewn onto a black faux leather background clip. Type:Kids Make Up Kit. Formulated for children. Includes a wide variety of makeup and beauty accessories. 1 Set x Kids Make Up Kit. Perfect Makeup Set toys for little girls. Small parts not for children under 3 years old. Formulated for children.Includes a wide variety of makeup and beauty accessories. Perfect Makeup Set toys for little girls. Toy material: plastic. Small parts not for children under 3 years old. Always play under adult supervision. This set includes everything your princess needs for her very own makeup kit! Can be used as a gift to the children, let them play more fun. The color may have different as the difference display,pls understand. 2 glitter powder. 1 nail polish. This makeup set makes a great gift. Great for kids ages 5 . 6 blusher powder. 1 eye shadow stick. This set includes everything your princess needs for her very own makeup kit! Teenage mutant ninja Turtle Shell Armour kid children Costume 2013 A1 Condition. The doctor will see you now. This easy on shirt, made to look like doctor's scrubs, will make a preschooler ready to check patients. Blue fabric printed with stethoscope, tongue depressor, syringe and other important tools of the trade. Braun Satin Hair 7 Toy Hairdryer with Brush kit set Klein Girls pretend set! Coiffe amérindienne. Amerindian accessories first nation. Tomahawk amérindien. Toys, gifts and more! Jeux, jouets et autres! Toys Jouets. Wooden toys. Many children love to dress up in fun costumes from time to time and pretend that they live in another place and time or that they have special powers and abilities. Imaginative play with outfits and related toys can be fun for kids, and it also can promote creative thinking in little ones. 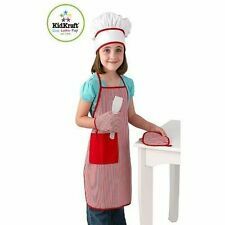 Regardless of whether you are shopping for creative costumes for toddlers or older children, you can easily find exactly what you are looking for through Pretend Play. What types of dress up outfits are available for girls? Many little girls love to imagine that they are a princess or to get dressed up in a fairy dress, and you will find multiple outfits for these possibilities. Remember that when children dress up, they often let their imagination take them away. 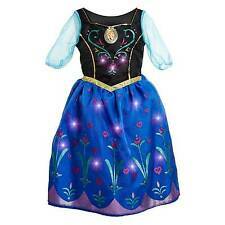 Some little girls may want to forgo the princess look or move past a fairy dress. For example, girls may want to wear a dress or costume that lets them be their favourite superhero or a character from a popular childrens movie. What types of dress up clothes are available for boys? Just as there are great dress up clothes for girls that let them be a fairy, a princess or something else entirely, there are also imaginative outfits that many boys may love. For example, boys may also want to wear a costume that lets them become a superhero. They may also want to dress like a police officer, a firefighter, a pilot or other popular professions that kids may idolize. Are there costumes that will fit toddlers? While older boys and girls may love to dress up, this is also a popular activity for younger kids and toddlers. The good news is that you can find fairy and princess dresses and other imaginative clothing that is sized appropriately for a young child. 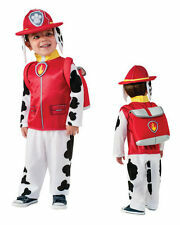 This includes fairy outfits for girls, animal costumes for both genders and more. A fairy dress, a police officer uniform and other types of dress for a creative child may not be complete without the right toys and accessories to accentuate the look. Investing in related toys and accessories along with a fairy outfit or another type of imaginative outfit may help your kids to engage in active play in various roles rather than to simply dress up in an outfit. There are a wide range of related toys for various looks that you can buy to help your child take creative play to the next level. For example, a dress for a fairy may be accompanied by a wand or wings. 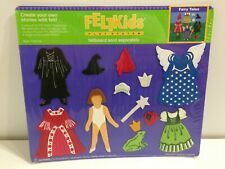 Can a child use these imaginative play clothes for Halloween? Halloween is a popular holiday for dressing up, and children can use their same fairy attire or other types of imaginative outfits on Halloween for trick or treating and other fun activities. This is a great way for parents to get the most use of these items for their boys and girls, and the children may be able to wear the fairy outfits or other types of play outfits that they are already comfortable in.